Forming in 1967 in San Juan, Puerto Rico, a group of male teenagers decided to create a band. 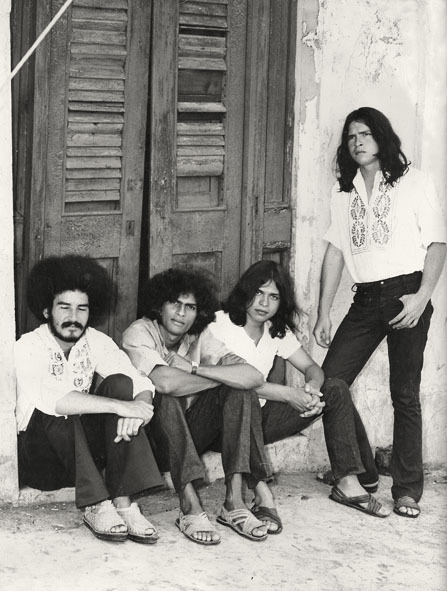 The Puerto Rican psychedelic group was soon to be known as Kaleidoscope and it consisted of Raphael Cruz on the drums, Orlando Vasquez on the guitar, and Frank Tirado on lead vocals. Fast forward from the late 60s to 2016 and we hear their song “Let Me Try” sampled in Beyoncé’s iconic album Lemonade. Sampled on “Freedom,” a politically charged track featuring Kendrick Lamar, we hear the psychedelic band’s views being revived by the context of Beyoncé’s song. Now, they are recognized as one of the most distinctive and energetic bands of the acid rock era.